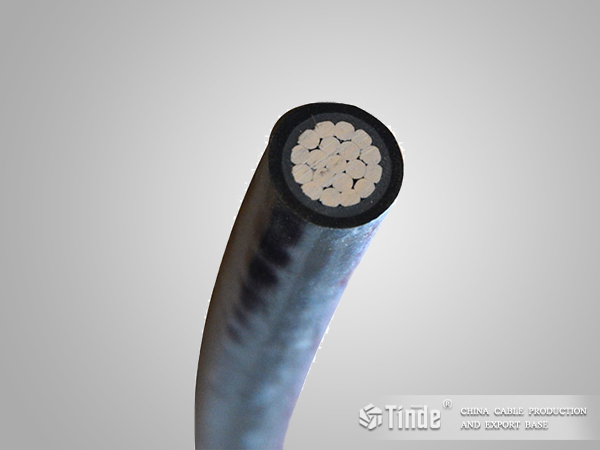 Covered conductors are designed to be used in spacer cable systems. Conductors are suspended from the messenger using Hendrix polyethylene spacers. Covered conductors are rated for continuous operation at 75˚C. These non-shielded, covered conductors are handled like bare conductors during installation and operation. Covered conductors consist of stranded hard drawn aluminum conductors with either one, two or three extruded layers depending on the voltage rating. Covered conductors are available in black or gray depending on visual preference. In a Covered Aerial MV System (formerly called Spacer Cable), spacers hold three MV phase conductors in close approximation. The spacers are suspended from a high-strength messenger wire. Covered Aerial MV (CAMV) cable itself is a single aluminum conductor protected by a layer of track-resistant polyethylene.